If you haven’t heard of Tinder by now you must’ve been hiding under a rock somewhere for the past five years, but I’ll give you a little summary here anyway. Tinder is a dating app created for single people to connect with other singletons. To date, the app has recorded over 20 billion matches. Here’s how it works: you create a profile with a few pictures of yourself and a short introduction, including your age and location. You then select the kind of person you’re looking to meet, i.e. a man or woman, the age range, and how far you want to look from your current location. In a matter of minutes, you’re ready to start browsing through all the profiles that match your criteria. You swipe left for “not interested” and right for “yes, I want to chat with them.” If both of you swipe right for each other, it becomes a match! Both people are then able to send private messages to each other on the app, and go from there. 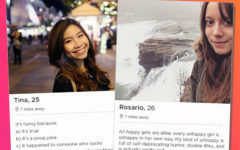 Tinder uses multiple algorithms to determine which singles you should see. Some of the things that go into it, include the information your provide in your bio such as age and location. Every person on Tinder also gets a desirability score, known as an “elo” score. Your elo score is Tinder’s internal rating of how popular you are on the app according to how many people say yes to you. Though Tinder is vague about what everyone’s elo score is, it may be based on photo quality, number of swipes, and thoroughness of profile. Who you see in your Tinder search will be a combination of people in your location, age range, and general elo score. They may also show you people who are similar to other people you’ve swiped right on. For instance, if you swipe right on people with glasses a lot, they may show you more people who wear glasses. For one, make sure your profile is looking sharp. If you don’t put time into picking the right photo and providing good information, your elo score may go down. Second, always swipe thoughtfully. 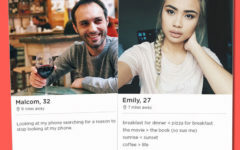 If you’re that person who swipes right on everyone then waits to see who you match with, you’re making it harder for Tinder to learn who you like and show you singles that match your preferences. Tinder also offers Tinder Passport for an additional fee. With Tinder Passport, you’re not restricted to just one country, and can swipe anyone anywhere in the world. It’s also a convenient when you’re traveling and wanting to meet new people along the way. You can even browse profiles before you reach your destination, helping you to plan ahead and potentially meet up with someone. Despite its many benefits, it’s important to always be careful when using dating sites or apps like Tinder. You can’t trust everyone, and many people are not fully honest about who they are, what their motives are, or where they’re from. The best way to get around this is to do a background search on someone once you’ve started chatting with them, before deciding to meet up. If you know their name and age, you should be able to find a decent amount of information on them from a quick internet search. Don’t be in a hurry to give out your mobile number either. Hold off until you’re sure you want to meet up with them. It’s easy to unmatch with someone on Tinder, and a lot more difficult trying to block them on your phone or change your number. Despite having a bad reputation for being a “hookup” app, Tinder has actually been responsible for countless couples falling in love, long term relationships, and even marriages. If it has worked for other people, it could work for you too. 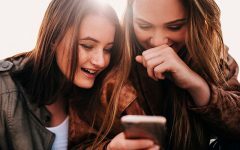 When you start using a dating app, you can feel pressured to meet someone quickly, but it doesn’t need to be that way. Go into it with no expectations, apart from chatting to new people and having fun. See where it takes you.